Before starting a new thread, it is recommended that you use the search engine to see if a similar problem has already been discussed. If it has, and the thread only answers part of your question, simply reply to that thread. The discussion will be "bumped" and placed atop the list of recent threads. If no thread regarding your problem has been posted yet, you can post a new message by choosing the appropriate forum. Bulletin board discussions are radically different from traditional ones, as the messages are posted as text and are often written quickly. CAN YOU GIVE ME AN ANSWER?!?!?!??? Users are also asked to take great care to check their spelling and minimize the use of text-message-style abbreviations. A message written in shorthand, or one which is hard to read due to the number of spelling errors, may be deleted to make the forum easier to read. Since messages posted on the bulletin board are not always able to reflect the poster's state of mind, you are allowed (and are generally advised) to use smileys, which are symbols that let you indicate your tone to those reading your message. The title of the thread is the first thing that users see on the forum. A thread with a well-written title will have a better chance of being read and responded to. Therefore, thread titles must contain keywords that introduce your problem and, of course, they should not be written in all capital letters. When a user posts a message about his or her problem, he or she usually knows its context. Forum readers can't help unless they know what software is affected, on what operating system, and possibly what hardware is being used. Therefore, it is essential to describe the error as completely as possible and to specify the software and hardware being used. Latest update on June 14, 2018 at 01:32 AM by Olivia Long. 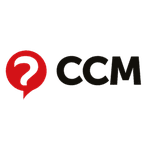 This document, titled "Advice for Writing Messages on CCM," is available under the Creative Commons license. Any copy, reuse, or modification of the content should be sufficiently credited to CCM (https://ccm.net/).